A fundamental part of the sales process is handling customer objections successfully. 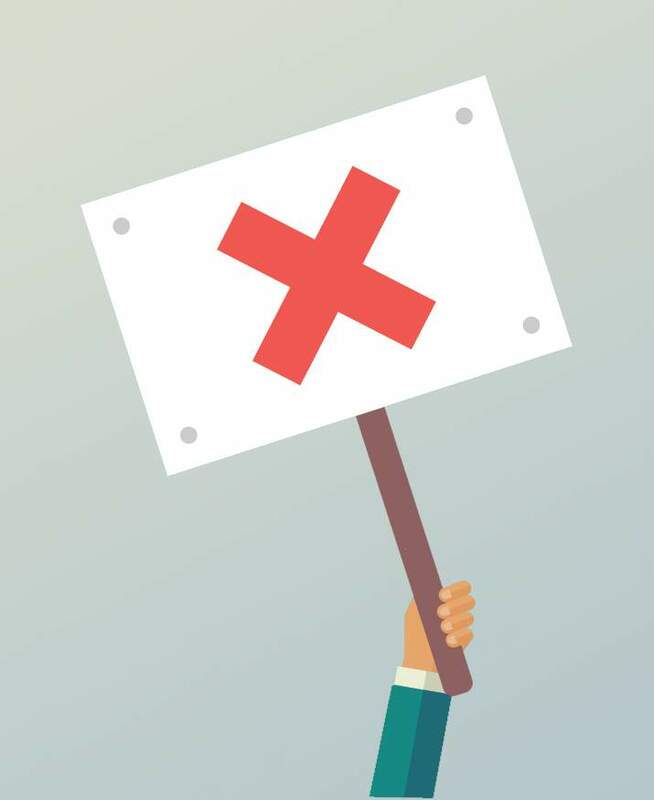 The raising of customer objections is a real signal to the salesperson that the customer is engaged and interested in how the product/service might meet their particular need. 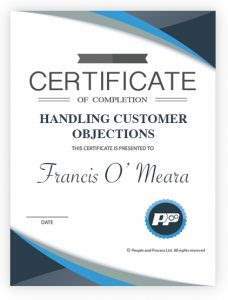 In this course we will cover the essential reasons why customer objections are raised. We will look at typical price and non-price objections and how to deal with them. We will look at buying signals that may be exhibited by the customer and finally we will examine the negotiating process and how this can lead to closing a sale. This particular course consists of 5 number video lessons organised into one number of Modules. Each video is approximately 4 to 9 minutes in length. At the end of each video lesson there is a quiz that will test your knowledge of the material. A transcript is available for each lesson so you can real along with the video or download and print to study later. This course is completely self-paced. Watch and study when and wherever you want. On successful completion of this course all students will be awarded a People of Process Certificate of Completion. This certificate confirms you have completed all the video lessons for every module and fully met all the requirements of the course. To achieve this award all the assessment quizzes for each lesson must be passed. The pass grade for each quiz is 80%.You can retake lesson quizzes as often as you like. Each lesson in this course has its own assessment quiz. These quizzes will test your understanding of the course material and your ability to apply the knowledge learned to real world marketing situations. It is recommended that you watch the video lesson several times and study the lesson transcript before attempting the quiz. Lynda has a wealth of experience in Marketing, Sales, Management and Personal Development in the food and lifestyle areas having worked for both large international companies and smaller indigenous companies. She has also been a trainer, tutor, lecturer, mentor and coach for almost a decade. She holds a BSc (Mgmt) and an MBS.